In OTC's 'Muse' series, artist Kitty Callaghan captures creative women in their everyday style armour. Here, Talisa Sutton shares her accessories routine for home, travel and preservation. Talisa Sutton is a talented multihyphenate and editor-in-chief of the newly launched Badlands Journal. Her creative eye for branding and design extends right through to her wardrobe, which has made her a covetable muse for fashion brands both locally and internationally. Having first formally met Talisa some years ago in New York, I have always admired her innate sense of personal style. Timeless and refined, this modern businesswoman knows exactly what works for her. It is no surprise, then, that the same level of intuition filters through to her accessories – whether they be a cherished collection of gold rings, designer handbags or well-worn heels. 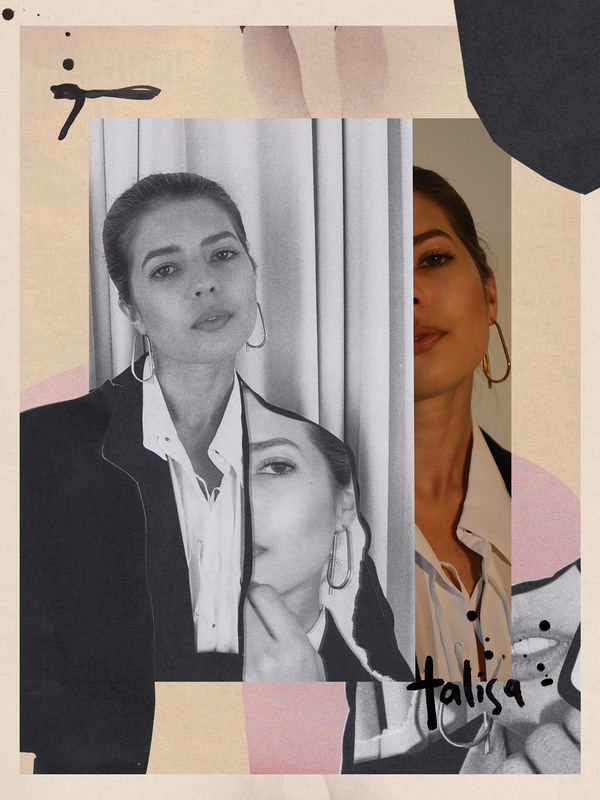 Perhaps the only thing more impressive than Talisa’s highly curated style, however, is the meticulous organisation with which she approaches these pieces. Spending the day with her late last year, OTC asked Talisa about her everyday accessories staples and how she stores them for safe keeping both at home and in transit. ROSIE: What is your earliest accessories memory? TALISA: One of my mum’s vintage brooches – she had a beautiful collection with all different kinds of colours and stones. I remember her wearing it in one of our first family photos together. She definitely knew how to accessorise! ROSIE: And how would you say that you approach accessories today? TALISA: I think my mum having such a distinct style, and appreciation for fashion really shaped my own. Her and my nonna would make a lot of my outfits, and often they would have matching accessories, so as I grew older, I was conscious of the importance they played in bringing a look together. My mum was always amazing at taking a homemade or high street outfit, adding a touch of jewellery and making everything look luxurious – so maybe that’s where I get my love of high low combinations too. I love fine gold coin necklaces with a simple white T-shirt and jeans, and always an earring for evening. ROSIE: Can you tell me a little bit about the pieces you wear everyday? TALISA: I have three rings I wear everyday, which make up my wedding set. My engagement ring and wedding band are both by Satomi Kawakita – they are champagne diamonds set in black with yellow gold bands. I also wear a gold ‘Oui’ ring by Dior, which my husband gave me just after our engagement. In addition to this, I usually wear my gold Céline knot bangle – I love that it’s quite delicate. This was a birthday present from a trip to Paris a few years ago. ROSIE: Do you have any accessories that carry extra special meaning for you, or that you hope to pass down as heirlooms one day? TALISA: Definitely my wedding rings – they are so special to me! I would love to one day pass my Dior ring, a fine gold chain my father found for me overseas when I was young and a Cartier watch down to my own (future) daughter. ROSIE: You have such a beautiful eye for interiors! What are some of your tips for storing special pieces like jewellery, handbags and shoes? TALISA: Thank you! Good storing techniques are definitely the secret to keeping organised, and extending the life of your favourite pieces. I keep my very special jewellery in their original bags or boxes, while the rest are displayed on trays, or a jewellery stand. I also have a tiny bowl for my favourite rings and, when I’m travelling, I fold the pieces between fabric to prevent scratching and tangling. I keep handbags stored in my cupboard and, where possible, in their original dustbags. Unfortunately I don’t have space to store my shoeboxes, but I do have a wooden shoe ladder that leans against the wall for my most-worn pairs, while others are stored in the cupboard and organised by heel height or style category.